But when it comes to men's hair care routine, it's actually important for a guy to have a product that corresponds to his individual needs. Not all shampoo is made of the same stuff. The male scalp is greasier than a women's, requiring a different formula. Men also need to consider things like hair thinning and dandruff. All these factors can make picking a good shampoo quite confusing. Shampoo comes in a variety of formulas, fragrances and for a broad range of hair types from fine, to curly, to frizzy. This is why we created the 10 Best Shampoo For Men in 2018 list. We want to make it easier for you gents to read up on the major products circling the market and formulate your own opinion regarding what will work best for you. What is Shampoo for Men? Where Is the Best Place to Buy Shampoo? The Verdict - Which is the Best Shampoo for Men? What Am I Trying to Get Out of This Shampoo? What is my Hair Texture? What is My Scalp Condition? Shampoo for men is a liquid substance designed specifically for washing hair. Some shampoos are even designed to wash facial hair. A good shampoo cleanses hair without stripping it of protective oils. Oils are an important part of a healthy head of hair, and a healthy scalp. The shampoo products we reviewed are available on Amazon and in many drugstores. The prices range anywhere from $10 to $45. 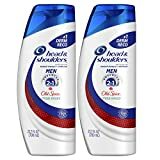 We scoured the internet for products made by solid brands, that had great customer reviews, and corresponded to a variety of men's hair issues in order to bring you the most comprehensive list of best shampoo for men. The price of shampoo depends on how much you want out of it. If you'd like an organic option that deals with multiple hair issues, you might be looking at anywhere from $30-$60. If you're happy with a less extravagant product that works well enough but isn't fancy, you can get a decent shampoo for anywhere from $10 to $30. Before using Absolute Clean hair and skin are dry from the effects of the environment and/or an active lifestyle. After using Absolute Clean hair and skin are left clean, conditioned and refreshed. 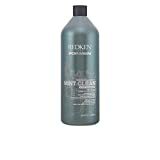 Absolute Clean Hair & Body Wash cleanses and conditions hair while keeping skin soft and revitalized. 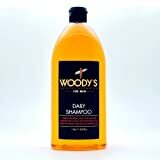 Woody's Quality Grooming Daily Shampoo, 32 oz. So, which is the best shampoo for men? 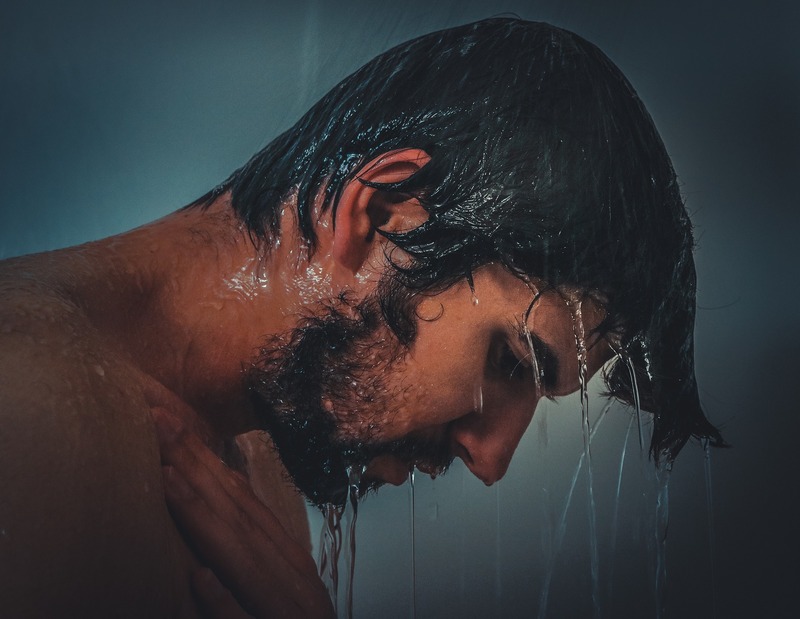 When trying to create this list of the best shampoo for men we took into consideration the many factors that go into men's hair concerns. 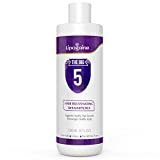 If you're suffering from hair loss, the Lipogaine Hair Growth Stimulating All Natural Shampoo for Hair Thinning & Breakage might the best pick for you. 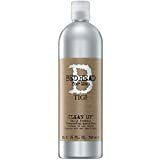 If you're looking for a shampoo that will improve your dry scalp, you might want to try the CLEAR Men Scalp and Hair Deep Clean Hydration Shampoo. Pinpoint your problem areas. Are you trying to find something you can use on your hair every day, or are you trying to find a product that will get rid of your dandruff? Figure out what you want your shampoo to achieve before you set out to pick one. Hair texture is important. Thick and frizzy hair will need a different type of formula from fine hair. 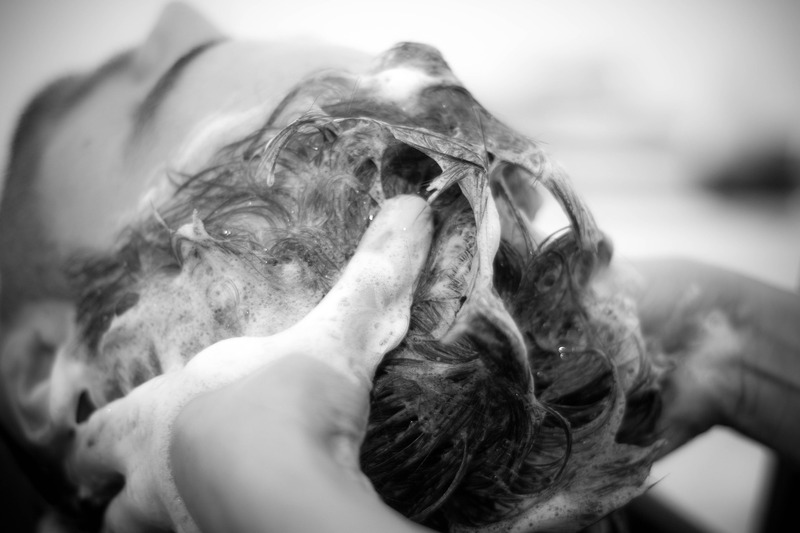 You might not even think of your scalp as part of your shampoo routine, but it is. It's important to realize how your shampoo will react with your scalp. First, figure out if you have an oily or dry scalp. Your shampoo pick will depend on that. Terms like "hydrating" and "moisturizing" mean the shampoo is great for making your hair look more healthy by adding shine and moisture to it. These should be avoided by those with oily scalps and used by those with curls or more coarse hair. Any shampoo with the term "volumizing" will help out those with fine and limp hair. These products provide moisture without weighing already fine hair down. 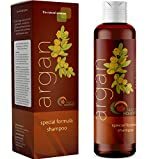 Terms like "strengthening" or "fortifying" signal that this is a good shampoo for those who have weak or brittle hair, perhaps hair that has been chemically damaged or dyed. If you see the word "balancing" then the shampoo is good for those who have a mixed oily/dry type scalp and hair. It won't be too moisturizing or too drying. Shampoo that's designated for "curly hair" will provide a lot of moisture and frizz reduction. It should not be used on fine hair. Don't let the shampoo aisle intimidate you with its endless options and choices. The variety of products on the market can be overwhelming. But if you can narrow down your hair and scalp type as well as whatever hair conditions you want your shampoo to help you with, you can go in with a good idea of exactly the type of shampoo you need, which will make the experience quicker and less daunting. Keep in mind that sometimes splurging on shampoo is worth it. After all, hair and hair loss is one of the most sensitive topics for men. Treating your hair with the correct product can help mitigate hair loss and hair thinning. If you already have fine and brittle hair, buying the cheapest shampoo will guarantee that you're drying out your scalp and stripping your hair of important nutrients and oils it requires to stay strong. So sometimes that investment is worth it. If you're hesitant about purchasing an expensive shampoo on your own, or you have trouble pinning down your hair and scalp texture, talk to your hair stylist and ask them to guide you to some products that might be worth splurging on for your hair. 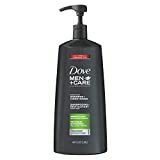 Overall, the best shampoo for men is the one that addresses each individual man's hair concerns. We hope our guide will make it easier to keep your scalps moisturized and your hair clean!